Welcome to the Radisson Blu Hotel London Stansted Airport, where convenience meets style for both business meetings and leisure stays. A covered walkway is all that stands between your room and the main terminal of this London airport. The hotel is also close to train and bus stations, and boasts secure parking. Enjoy a quality night's sleep in one of the 500 bedrooms or suites within the hotel, which all offer superb amenities; free high-speed wireless Internet, satellite TV with in-house movie channels, tea and coffee facilities and 24-hour room service. Pets are unfortunately not allowed at our hotel. Please contact us if you travel with a guide dog. This outstanding airport hotel provides parking for hotel guests who need to catch an early morning flight and prefer to take the bus transfer for the six-minute ride to the airport terminal. Central London is just 30 minutes by train from this property and only 5 km from the busy market town of Bishop Stortford. Patrons may discover the West End's famous theatres, galleries, shopping and nightlife, only an hour away by train. The Imperial War Museum, Hatfield Country Park and Mountfitchet Castle are easily accessible from this airport location. Visitors may start the day with a hearty buffet breakfast and sample the a la carte menu or dine on international cuisine with family and friends at the cosy restaurant. Guests may choose from a wide selection of wines and whiskeys and unwind in an armchair in the welcoming atmosphere of the hotel bar or relax with friends in the informal cafe, enjoying a favorite coffee or tea with a light snack. Visitors may swim laps in the indoor pool and work out in the 24-hour fitness center before unwinding in the steam room, sauna and whirlpool or stay connected in the business center featuring 16 versatile meeting rooms. This eco-friendly hotel is beautifully situated amidst the splendour and appeal of the English countryside. The property is located within easy access of Hatfield Forest and Flitch Way. Links to the public transport network can be found just 1 km away, in the town of Takeley. Restaurants, bars and nightlife opportunities are just 5 km from the property, in Bishops Stortford. 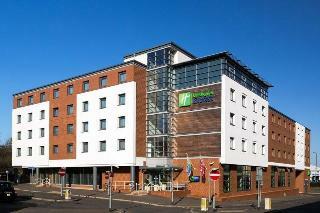 Stansted Airport is conveniently located 3 km from the hotel. This classical, Tudor-style mansion is set amidst its own private parkland, which features a natural lake. 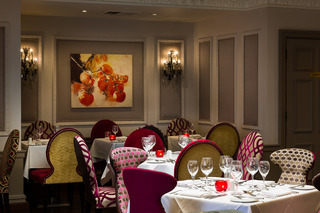 Guests can dine in style in the restaurant, or enjoy a more relaxed meal in the lounge. Standard double and single rooms are located in our Annexe across the road, Hallingbury House. All patrons of these rooms are welcome to enjoy all the benefits of the main building and its facilities. This luxurious country house hotel is situated on the border of Hertfordshire and Essex. The property is ideally located for access to Bishop's Stortford, Harlow and London Stansted Airport. This stunning property is set amidst 110 aces of land, oozing charm and sophistication. Superbly-styled guest rooms have been designed to exude classical elegance and splendour, beautifully echoing the charm of the surroundings. Guests can indulge in an alfresco dining experience, amidst the sophisticated surroundings of the estate. 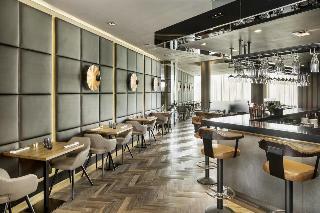 The establishment features a well-equipped fitness centre, as well as tennis courts, an opulent lounge, a cocktail bar and a restaurant. 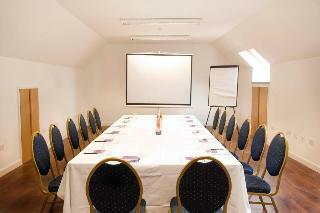 A fully-functional conference centre is available for the convenience of discerning business travellers. Pets are allowed. Charges may be applicable. This stylish hotel is the perfect stopover when travelling to and from Stansted Airport and as a base to visit the city or the local area. The hotel features a bar/lounge with TV showing all the latest news and sporting events. Facilities include 24-hour reception, hotel safe, currency exchange, lift access, a café, a restaurant and car parking facilities on site. There are 6 meeting rooms all with natural daylight, which are ideal for small meetings, interviews or training sessions. 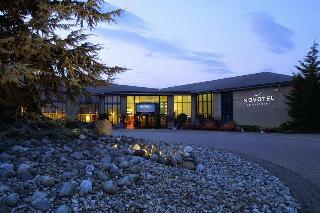 This charming hotel is situated in Stansted Airport. 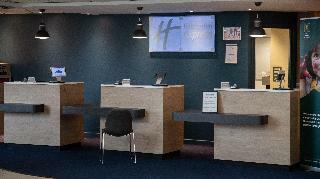 There are a total of 122 accommodation units at Holiday inn Express Harlow. Those who dislike animals may enjoy their stay, as this accommodation does not allow pets. Boasting a fantastic position for all kinds of travellers, this affordable hotel is ideally situated at just a 5-minute drive away from Stansted Airport. The property's proximity to the motorway allows customers to easily reach any part of the city in just a few minutes. The historic town of Bishop's Stortford is located around 4km distance and near the establishment there is a golf course where visitors may practice their swing. The adjacent motorway services include a variety of shops and restaurants, including a supermarket and a coffee shop as well. Guests will find comfortable and spacious rooms provided with a private bathroom and modern amenities such as a flat-screen TV and unlimited complimentary Wi-Fi access. To start their day full of energy, travellers may enjoy a room service breakfast which includes fresh products. Those arriving by car will appreciate the complimentary parking space. 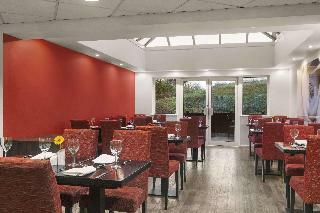 This 3 star hotel is located close to the airport of Stansted and was established in 2009. It is 20.0 Km from the Duxford Air Museum and the nearest station is Stansted Express. The Hotel has a restaurant and a coffee shop. All 77 rooms are equipped with hairdryer and air conditioning. This unpretentious hotel is set in Stansted Airport.